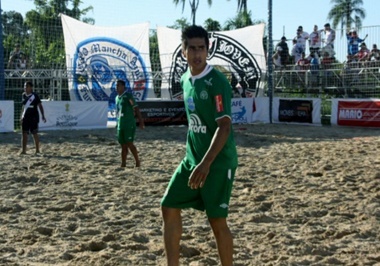 Hazrat Gull Baran, Afghan beach footballer and former Chapiskonis team player in Brazil was hitting the ball recently and had signed contract with 'C A., one of the Brazilian teams in the city of Sao Paulo. The Afghan footballer has said that the CA is one of the state's well known football teams and has won championship several times. Mr. Baran said qualifying for the state's accredited clubs where large population and because of talented players is very difficult. The CA and has more than 60 years and Baran is to play as a defensive midfielder. He regrets that many Brazilians are playing in the cradle of world football's leading teams. 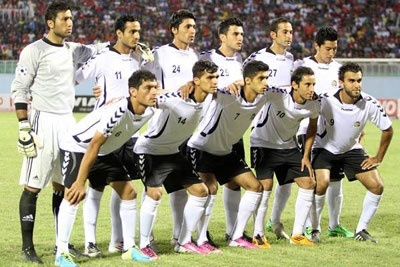 Baran has 25 years and he had attended world cup qualifying as the main composition of the Afghan national team which was held in Qatar last year. Rain says that has begun football at the time of migration in the streets of Iran. According to Mr. Baran because of Iranian citizenship he was not allowed to play in prominent teams of Iran. About ten years ago with his family he came back to Afghanistan again. Afghan footballer says he hopes one day Afghanistan's national soccer team would play as Brazilian style. He regrets that many Brazilians are playing in the cradle of world football's leading teams.